The TDC Denmark APN Settings have been added below and you will need to enter these into your mobile phone. 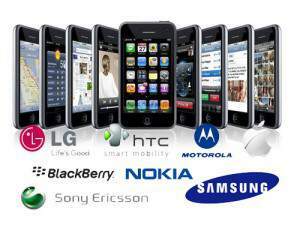 Note that there are Android mobile phone as well as Windows mobile phones. The Windows mobile phone as well as the Android phones are the easiest to insert the APN settings for TDC in Denmark. You can enter the APN settings as well as the MMS settings for TDC in Denmark with these settings. Note that Android as well as the iPhone settings for the TDC network. See the sidebar for more details as to how to insert these APN as well as MMS settings on your mobile phone. Note that this is for a Windows mobile phone. These APN settings can be used on an iPhone or on an iPad. These are the APN settings for TDC for an Android mobile phone. For an Android mobile phone you would normally have to go Settings and then click on More then click on Network and finally click on Access point Names then click on ( to add) and give it a name and complete the settings. Windows mobile phones are much easy as it is normally Settings then click on Network & Wireless followed by Cellular & SIM Settings and then click on Add Internet APN and complete the settings as above. The iPhone is also as easy as Settings then click on Cellular followed by Cellular Data Network then click on APN and give it a name and complete the rest of the settings.